Get it: 30th Apr. - 2nd May. The APEX Series Keyboard Stands represent over two decades of research and development and are used all over the world by gigging keyboard players and touring musicians. The AX-48 Pro offers everything keyboard players loved about the original APEX keyboard stand while offering sleek new designs and updated features that support a whole new generation of keyboards and workstations. The APEX Series are the finest looking keyboard stands on the market, and are intended to shine the spotlight on keyboard players, while securely supporting their prized instruments. The modern look and shape of the APEX AX-48 Pro takes a nod from its big brother, the flagship AX-90, and brings the keyboard player out from behind a stack of no-character keyboard stands, and into the spotlight with the rest of the band. The footprint of the new AX-48 Pro has not changed from the previous APEX, but now offers an updated column design that is as esthetically pleasing as it is performance ready. Everything keyboard players have come to appreciate about the APEX keyboard stand for over two decades is still available in the new APEX AX-48 Pro. 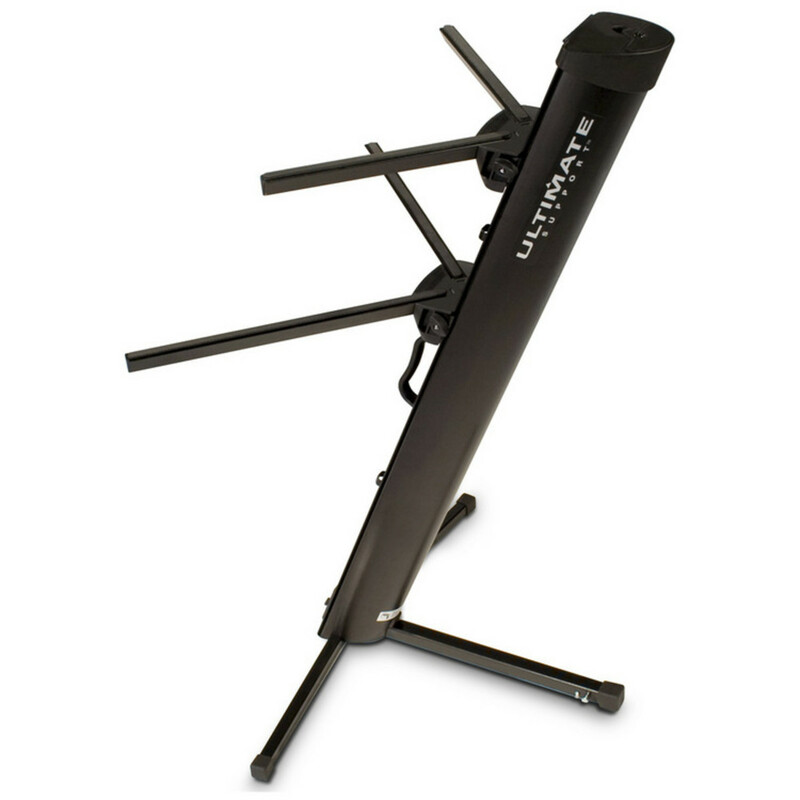 It's THE original column style keyboard stand that securely holds two keyboards out of the box (up to 125 lbs each!). The patented Tri-bar arms are height adjustable, the support legs are super stable, and it's incredibly easy to setup, tear down, and transport from gig to gig. Keyboards, synthesizers, and keyboard workstations have evolved in the last two or three decades since the original APEX was developed. The APEX AX-40 Pro now ships with two sizes of Tri-bar arms (one set of 13" arms, and one set of 18" arms) to safely hold today's keyboards, synthesizers, and keyboard workstations of all sizes. Setup and tear down takes seconds! The AX-48 Pro breaks down into a single, slender unit that's easy to transport and doesn't take up hardly any room because the hollow column becomes its own carrying case! The legs remain connected and slide into and out of the base of the column, and the arms that support your keyboards are stored in compartments at the top of the column.